Pakistan from a different perspective! Pakistan is a land blessed with enormously rich historical heritage, diverse culture, high adventure, and unmatched natural beauty. 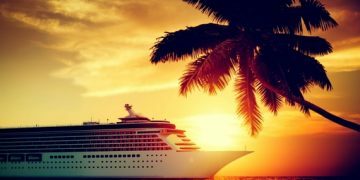 From the relics of famous Civilizations of Gandhara and Indus to gigantic icy peaks, lush green valleys, meadows and lakes of crystal clear waters, Pakistan offers a unique and contrasted destination to behold the caravan of mankind across ages and precious beauties of nature, to the tourists of the world. Following is the list of top 10 beautiful monuments of Pakistan you’d love to visit once in a life. 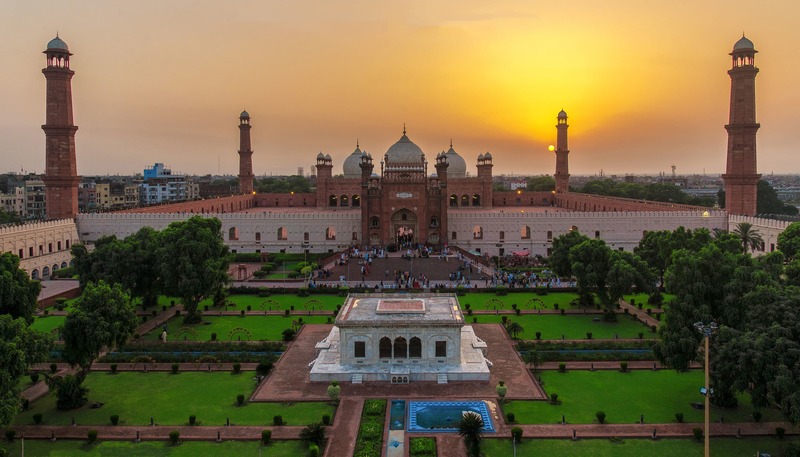 The Badshahi Mosque in Lahore was commissioned by the sixth Mughal Emperor Aurangzeb. 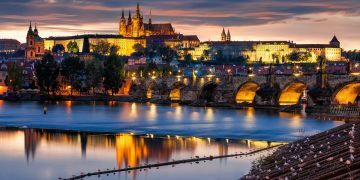 Constructed between 1671 and 1673, it is the second largest mosque in South Asia and the fifth largest mosque in the world. It is one of the top tourists destination in Pakistan. 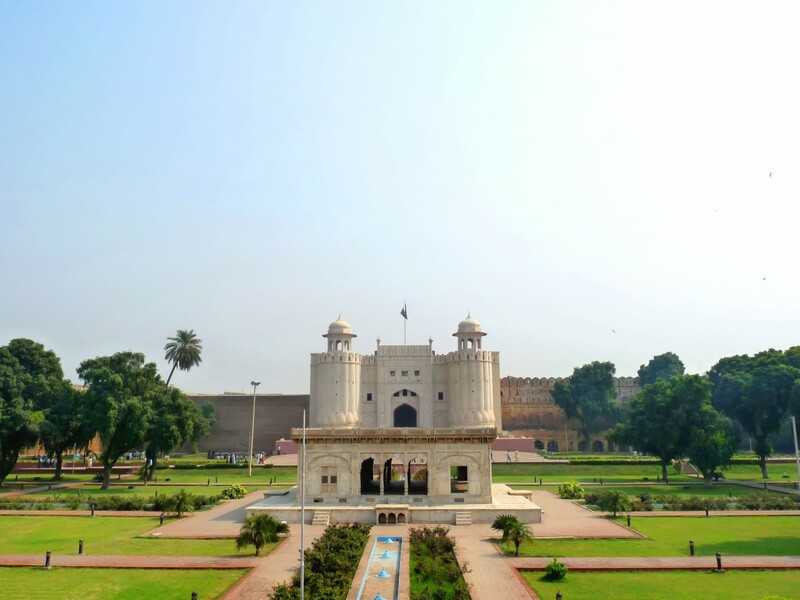 The Lahore Fort, locally known to as Shahi Qila, is a citadel in the city of Lahore, Punjab, Pakistan. 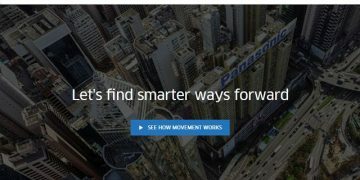 It is located in the northwestern corner of the Walled City of Lahore in Iqbal Park, which is one of the largest urban parks in Pakistan. 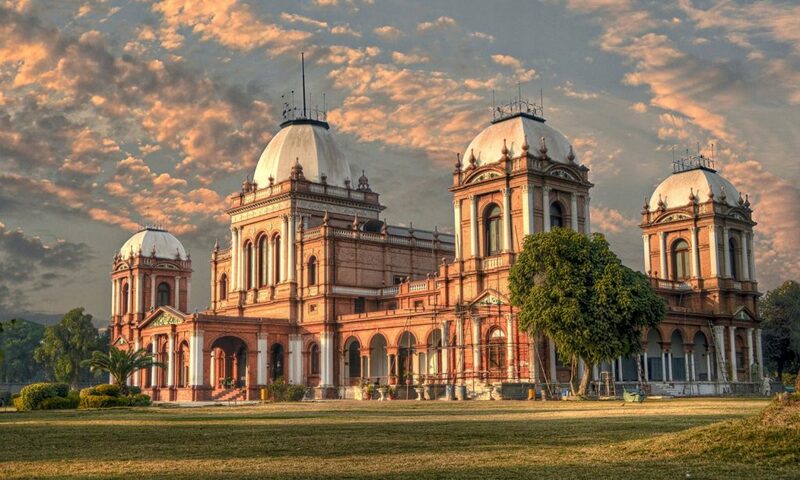 The Noor Mahal (Noor Palace) is a monument in Bahawalpur, Punjab, Pakistan. It was built in 1872 like an Italian chateau on neoclassical lines, at a time when modernism had set in. It belonged to the Nawab of Bahawalpur princely state, during British Raj in Sub-Continent. 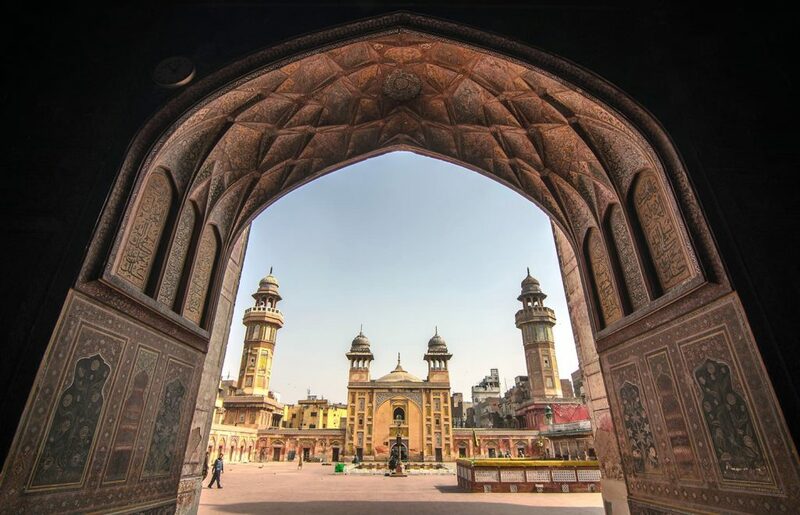 The Wazir Khan Mosque in Lahore, Pakistan, is famous for its extensive faience tile work. It has been described as ‘a mole on the cheek of Lahore’. 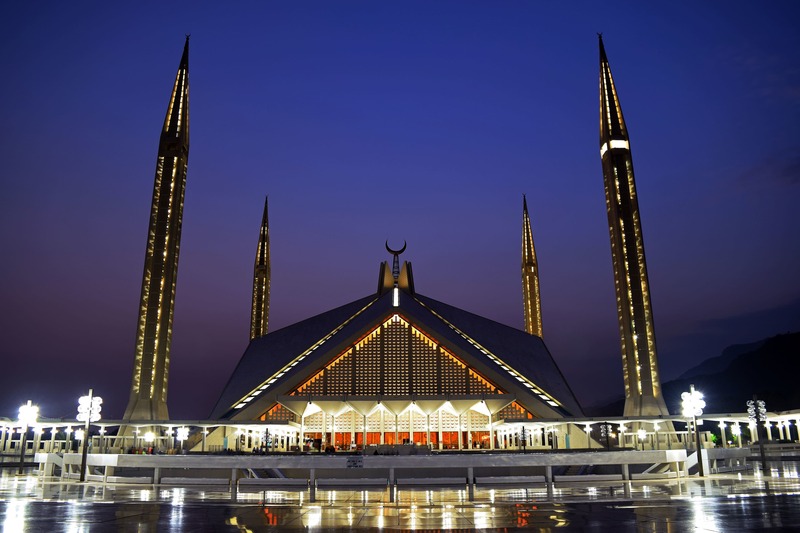 The Faisal Mosque is the largest mosque in Pakistan, located in the national capital city of Islamabad. Completed in 1986. 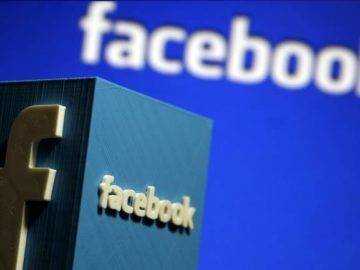 It was designed by Turkish architect Mr. Vedat Dalokay to be shaped like a desert Bedouin’s tent. It is also the national mosque of Pakistan named after Saudi King Faisal bin Abdul-Aziz. 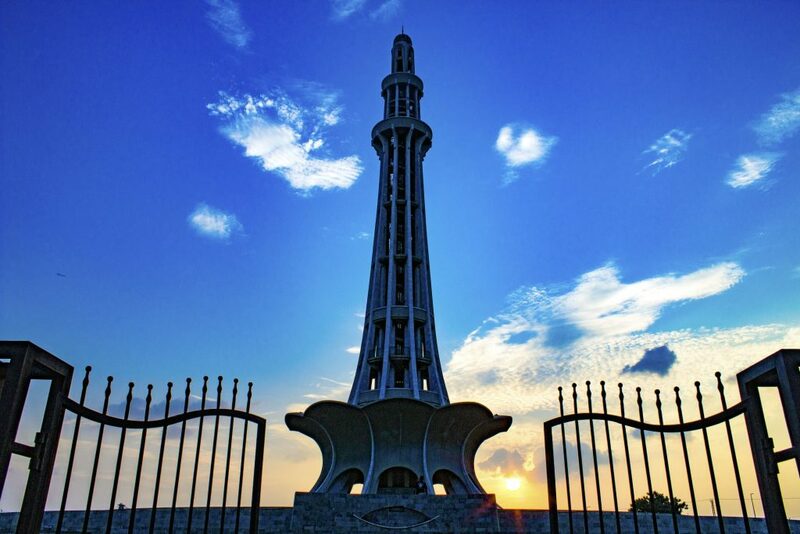 Minar-e-Pakistan (Tower of Pakistan) is a public monument located in Iqbal Park in Lahore, Punjab, Pakistan. The tower was constructed during the 1960s on the site where, on 23 March 1940, the All-India Muslim League at the time of British colonial rule over British India passed the Lahore Resolution, the first official call for a separate homeland for the Muslims living in South Asia, in accordance with the two-nation theory. 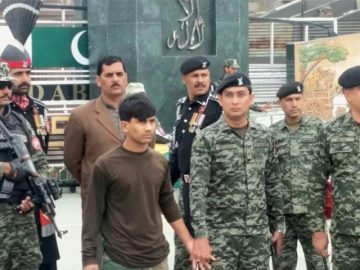 The Pakistan Monument is a national monument and heritage museum located on the Shakarparian Hills in Islamabad, Pakistan, aimed to symbolize national unity. The complex covers an area of 2.8 hectares and is a popular picnic destination. The monument is shaped as a blooming flower petal-shaped structure with the inner walls of the petals inscribed with the outlines of Lahore Fort, Badshahi Mosque, Khyber Pass and Minar-e-Pakistan. The monument opens onto a marble terrace providing a bird’s-eye view of Islamabad City. 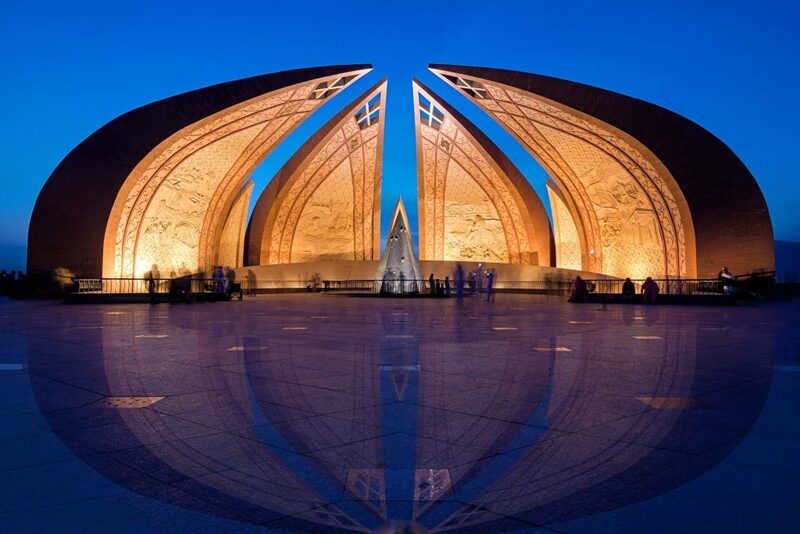 The four main petals of the monument represent the four provinces (Balochistan, Khyber-Pakhtunkhwa, Punjab, and Sindh), while the three smaller petals represent the three territories (Gilgit-Baltistan, Azad Kashmir and the Tribal Areas). 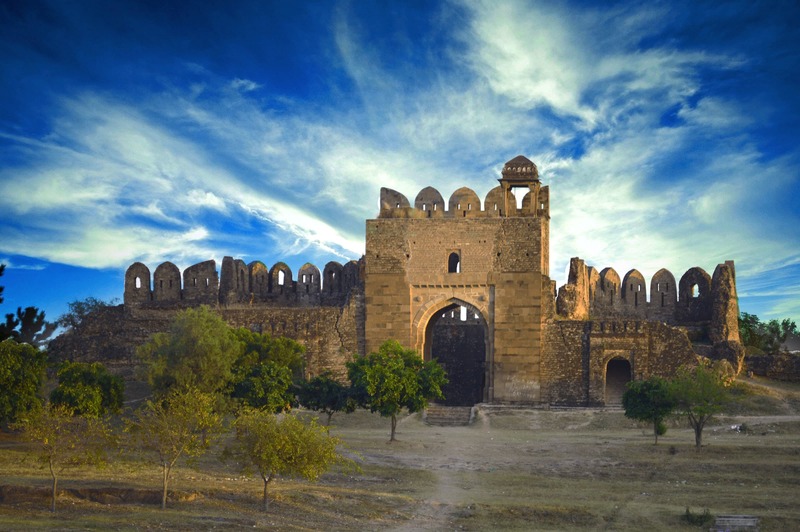 Rohtas Fort (locally known as Qila Rohtas) is a historical garrison fort located near the city of Jhelum in Punjab, Pakistan. 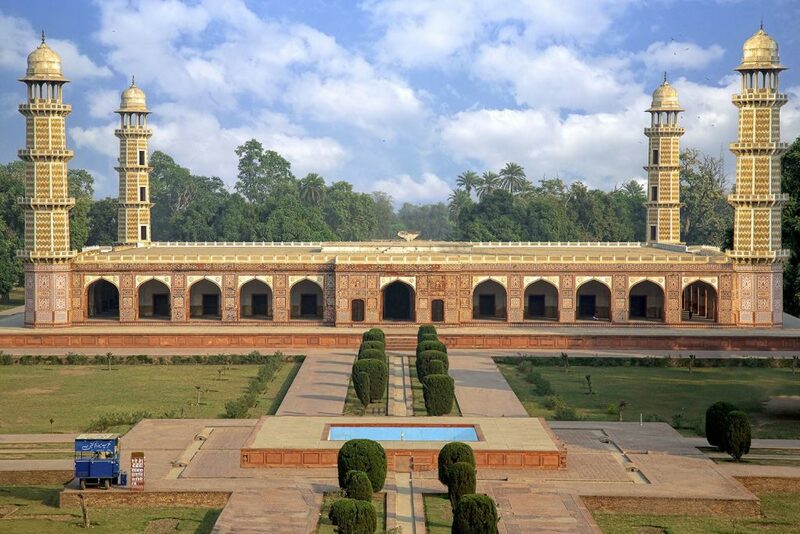 It was built by Raja Todar Mal, under the orders of the Afghan king Sher Shah Suri, to subdue the rebellious tribes of the northern Punjab region, in the 16th century. This fort is about 4 km in circumference. 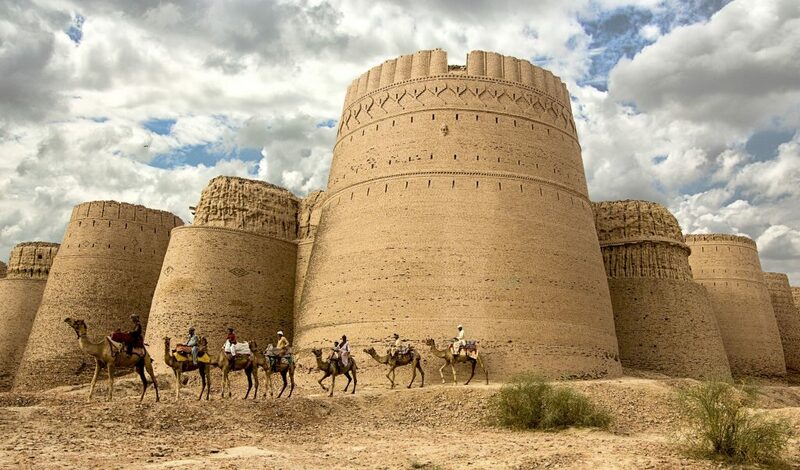 Derawar Fort is a large square fortress in Bahawalpur, Punjab, Pakistan. The forty bastions of Derawar are visible for many miles in Cholistan Desert. The walls have a circumference of 1500 meters and stand up to thirty meters high. 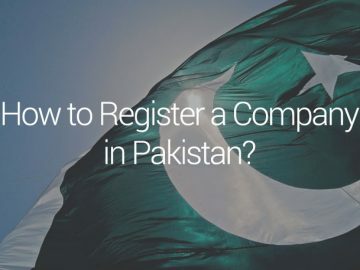 Apart from above top 10 monuments in Pakistan, there are many other beautiful landmarks in the country such as Hiran-Minar in Lahore, Tomb of Bibi Jawindi in Uch Sharif, Chauburji Lahore, Quaid-e-Azam’s Residency in Ziarat, Mazar-e-Quaid Karachi etc. 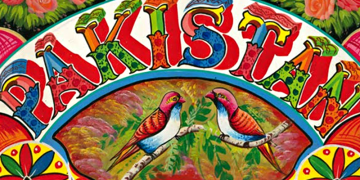 For more information about Pakistan national monuments and culture, visit Lok Virsa or Pakistan Monuments Wikipedia. Read next: KBW: Kinnaird business week 2016! 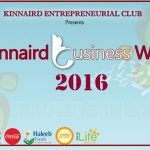 KBW: Kinnaird business week 2016!